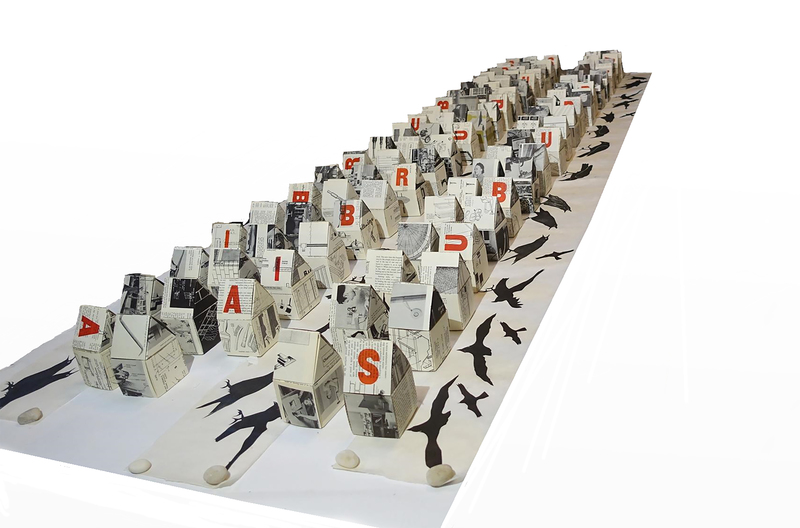 99 folded paper houses some with letterpress overprinting & 3 linocut printed scrolls comprise a suburban subdivision. Houses constructed from 2178 folded pieces of paper from the pages of a 1956 Home Handyman Encyclopedia. To be installed on the floor.